Burka Avenger – I support you! 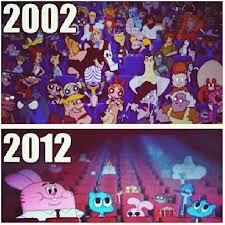 I grew up watching Disney & cartoon network. The princesses, Mickey, tom & Jerry, power puff girls. My childhood was great – then around my teens, the Star Plus fever hit my family. Then I along with my Family used to watch the Saas bhahu dramas. We live in UAE so the trends hit us late, well! Then my siblings grew up & the Indian soaps reached immortality! THEY NEVER ENDED!! generations passed & they still lived. So the age of Indian serials died here & people shifted to the more entertaining Pakistani serials which have great stories & end on time without overstaying their visit. My age of cartoons ended too – but still, I would enjoy some here & there. Then my siblings grew up & weirdly cartoons died. Now if you switch on to cartoon network they have the weirdest cartoons showing up, doing the most nonsense stunts which my siblings find so amusing. Oh, & have you heard of Doraemon? OMG! It’s horrible & it’s in Hindi also !! My brother is so fond of him. I always end up in a fight with him for watching it which ends when my mum calls it off! And his Hindi is better than his Urdu. So when I saw the Burka Avengers Trailer I was excited! Finally a Pakistani cartoon with Urdu! My brother watches the “Life Bouy ” “Safe Gaurd” Cartoons on TV with much interest & once the adds over back to Doraemon! So well as a single household I was quite exalted about the Burka Woman saving the world with her books & pen. People will never be happy with what they have. In our world, we keep weighing things with the perspective of Islam. Us being practical about things is a wish that has lost its way. I don’t know is the girl wearing a modern suit, a swimsuit, or a tight attire would make these haters happy about the whole superhero thing. But the “Burka” is a great outfit, it makes her fly, covers her identity & speaks a lot! Allows girls to be proud of themselves for being heroic – it is a great revolution if you ask me! And siblings like mine with learn Urdu for once & not talk in Hindi which they think is Urdu. So I stand by the Burka Avenger, supporting her in Saving the world! Previous PostTALAK! – The word uttered 3 times to end a life time promise..
Next PostSheesah come – Nawaz go!